Brad Watchorn [5-6] will be stepping into the cage this Saturday, August 1st at Raged UK MMA 2 in Swindon, at the M.E.C.A, where he will be going into enemy territory and facing hometown favourite Alex Brunnen [3-2]. The 25-year-old from Bracknell, Berkshire is no stranger to entering ‘enemy territory’ so to speak, being a former Grenadier Guard in the Military has taught Brad that stepping into enemy territory is to be doing something you love and is all part and parcel of your job. 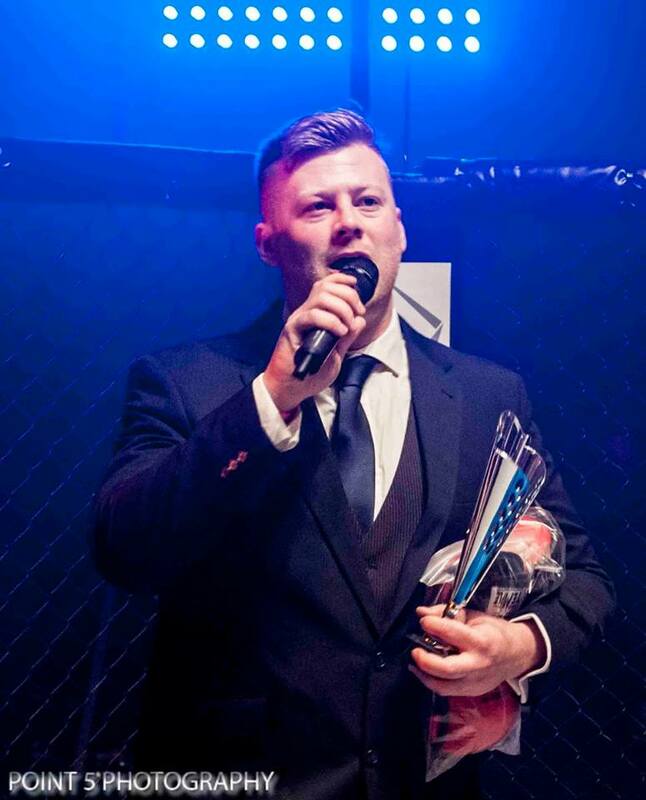 Finding a love for Boxing aged 8, Brad decided that is where he would first start his journey into what has now evolved into MMA, but it was not a straight path of just MMA that interested Brad. 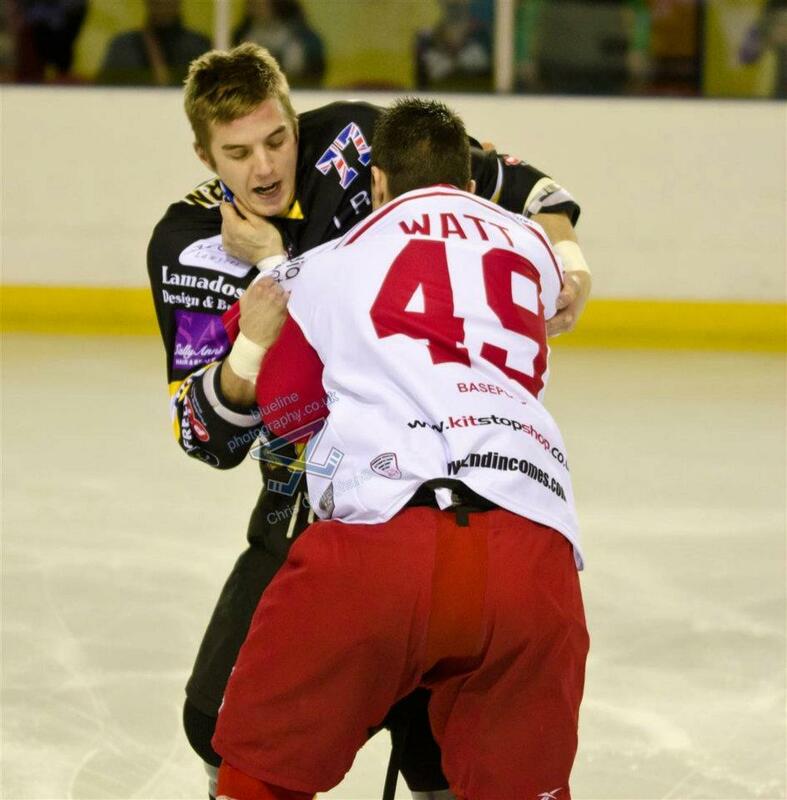 Since the first time he could lace up his own Ice Skates he had always had an interest in Ice Hockey, so much so, Brad made the Professional Ice Hockey Team at the age of 15 playing for the Bracknell Bees which also enabled him to travel to Canada for 2 years to play over there and gain even further experience. 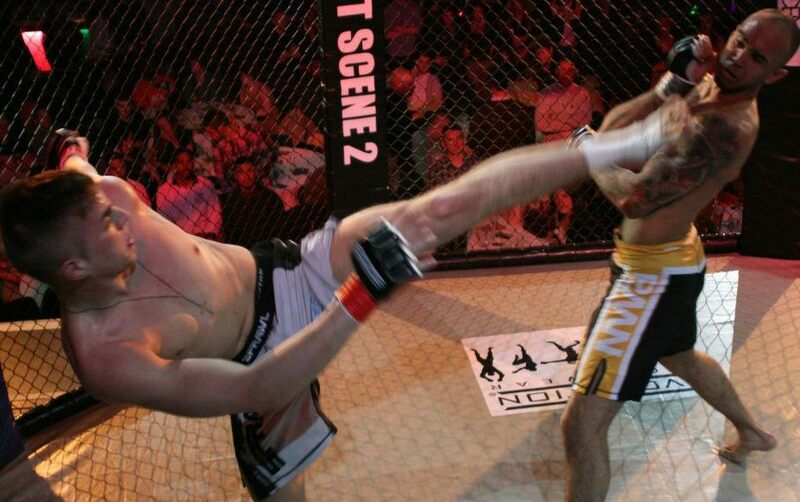 Upon leaving the Military Brad now juggles working full-time as a Roofer, competing in professional MMA and also professional Ice Hockey, let alone all the training involved for both sports which leaves little to no time for any down time. Fighting out of Fight Science Gym in Aldershot owned by legendary MMA fighter Nick ‘Headhunter’ Chapman and occasional visits to The Bat Cave for sessions with Brendan Flannigan, Brad is looking forward to Saturday nights event with Alex Brunnen. From going from ‘The Warrior’ to ‘Bellator’ which is latin for Warrior, a name given to him by veteran fighter Ian Hawkins, come Saturday night with an army full of ‘Watchorn’ fans making their way down to Swindon one thing is for sure this is going to be one exciting, fast paced, explosive fight. RAGED UK MMA will be staging their second event at the M.E.C.A on Saturday August 1st following on from a great sell-out crowd of their first event back in March earlier this year. 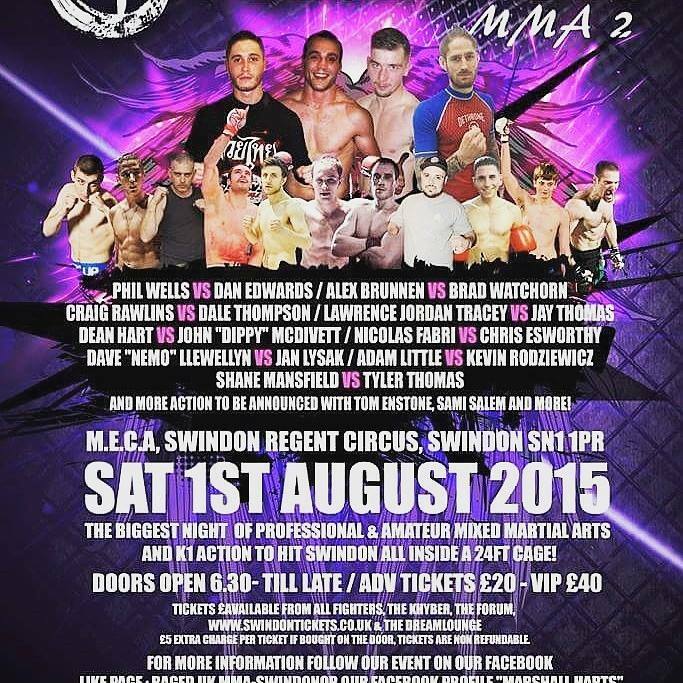 With MMA coming back to Swindon, RAGED UK MMA has been able to benefit directly from securing the second show which is able to boast twelve fights, including four title eliminator bouts. The event is headlined by Swindon’s Phil Wells, training out of SVT/Scorpion Gym who faces Josh Collins from Huddersfield, training out of AVT under the tutelage of Ex-UFC Fighter Danny Mitchell. The Co-Main event is Swindon’s own Alex Brunnen, training out of SVT/Scorpion who faces Bracknell’s Brad Watchorn who also happens to be a professional Ice Hockey Player aswell, he fights our of the Fight Science Gym in Aldershot. There maybe some limited tickets available on the day but could be subject to a surcharge.